Due to the recent sting of harrassing emails and negative comments from some of the community members, our mod is suspended until further notice. Guys, our team is made up of business men who have real jobs and real lives, we dont need the constant load of BS when we are working on a free mod for the community and until you guys realize that our members have decided to move onto bigger and better things in our spare time rather than waste it working on something that just isnt good enough for some people...enjoy! 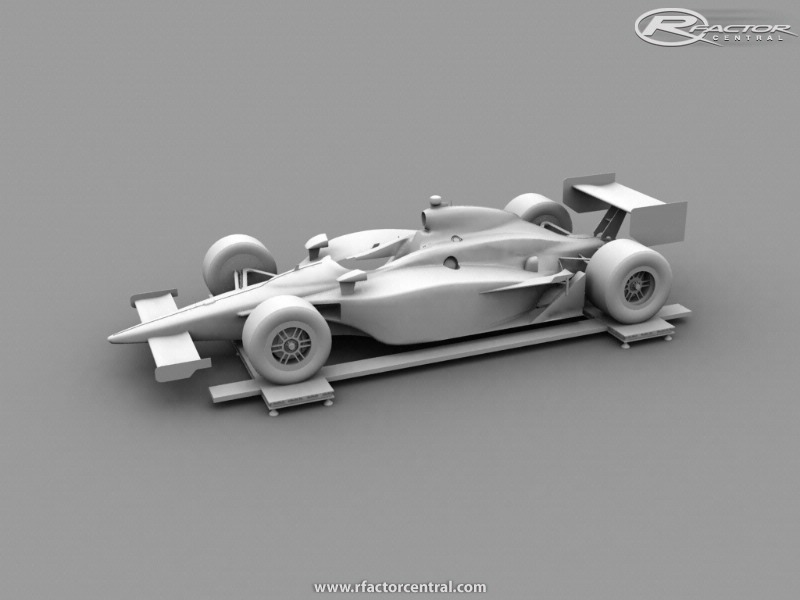 This mod is a work in progress that will adapt to the changes of the 2010 IndyCar season as livery designs, drivers or teams change. Our goal with this mod is to create the most realistic IndyCar mod ever seen on rFactor at the same time as delivering one of the most intense hair raising driving simulators available. - Never before seen Hi-Detailed Dallara chassis modelling with lower polygons to increase higher frame rates and more realistic damage. - Full car damage (including but not limited to: Sidepods, Engine Covers, Wheels, Wings and Other Things). - Sony SoundForge certified THX 7.1 surround sound. 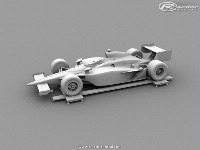 - Season Specific Livery Designs For 2008, 2009 and 2010. - Amazing new special effects (including but not limited to: backfire, exhaust smoke, realistic fires and more). - Stunning Spinner Designs (including but not limited to: hopper view with driver and car). - Amazing New Graphic User Interfaces With Transparencys and more. - Killer Sound Track Featuring: Bobnoxious, Rob Zombie, Kiss And Many Others. This mod is not an officially licensed product of the IRL, Indy Racing League, IndyCar Series, ICS or its likeness but some parts of actual events from the above may be used for reproduction purposes only, all works in this mod are original reproductions and shall not be used for legal or illegal redistribution, reproduction or recreation without the written consent of the holders of the Hellbringer Entertainment, LLC. trademark and copyright. I think this could be a great mod.................Don't listen to all the negative comments and keep on working.............Don't suspend this project indefinitely. You guys don't have respect for modders, just create a car yourself if you think you can do better. This mod, I'm sorry to say, is dead. The developers decided, IMHO, to "take their ball and go home." I'm surprised it's even still up here. We are already in November and up to now anything!!! lo !! if you guys are bussiness men doing this in your spare time , i would not like to do bussiness whit you guys !! this mod has been a joke from the start ! no pics . nothing . @ScarecroW: Another piece of "Bla-bla-bla, bla-bla,bla... " ??? You just a liars. Liars and freaking losers. I stand corrected, Joe informed me he is NOT 54, he is only 53 and will not be 54 until June of next year. All of things you should confession that you are liars. You told yours mod is ready on 90% but later you have changed a progress bar on 10%... What the hell all it means? You even didn't start to do this mod. You could't show pictures, you could't show video, you had nothing but you told this mod almost ready... You told out-and-out lie that you wanna make the car of 2012 year when you don't even had the car of 2010 year ha-ha-ha... A lot of us thinks you are liars... We've been waiting for this mod and you out-and-out lied. Your family, your work is your problems. You knew this mod will not be released but continued to lie. Everything you should have been to tell "we are sorry, we haven't enough time finished this mod" but don't lie. Guys, don't take the offenses but this time you are just liars and losers. If you had a promise to do everything, do it. Also never promise what you can't to do. You are just the liars. You are almost a year fooled everyone here talking that the mod is almost ready. In fact, you have nothing and did nothing. NOTHING! You are just a bunch of losers from the primary school who has decided imagined himself as the cool mod creators. Ha-ha-ha. Now is back to school and free time gone? Ha-ha-ha.